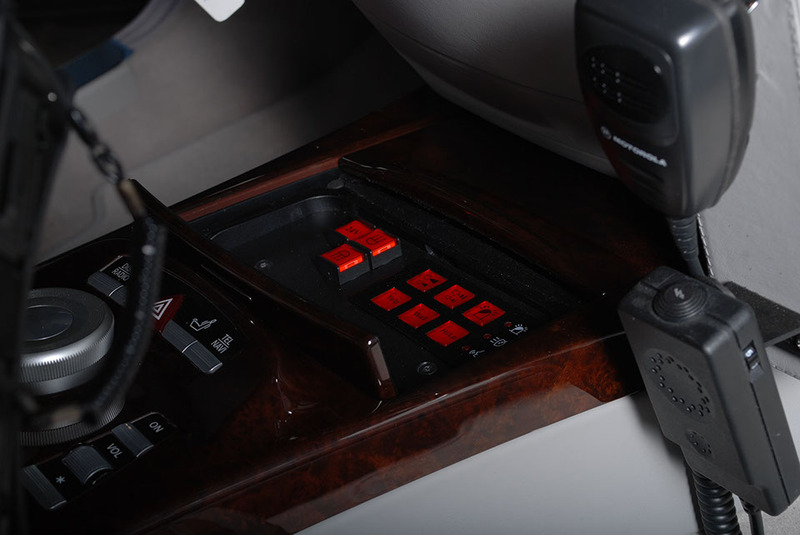 Military-grade ECM defense paired with a luxury passenger experience. 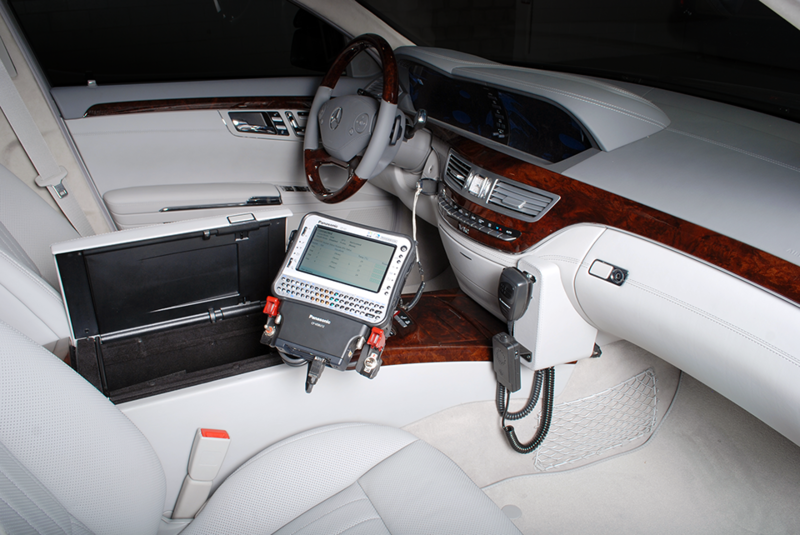 Working with Allen Vanguard, we were tasked with integrating a complete ECM package in a luxury sedan without interfering with the VIP passenger experience within the vehicle. 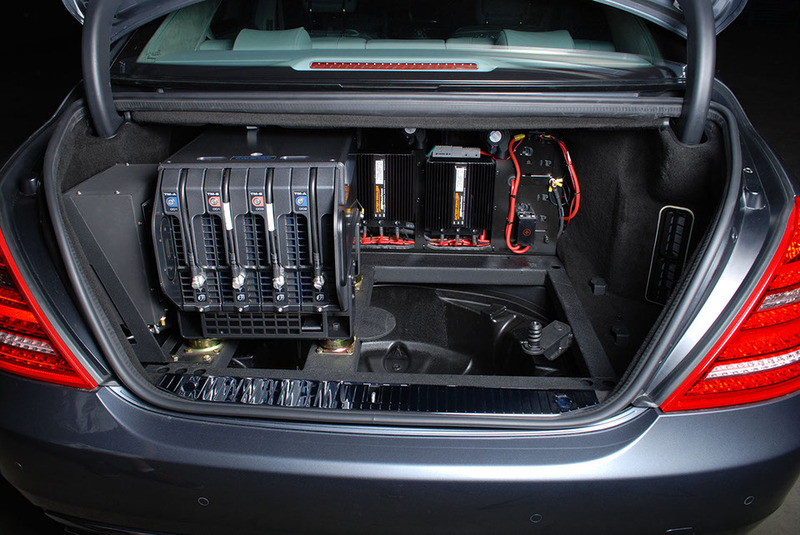 The RCU was designed to fold away into the arm rest storage compartment when not in use. 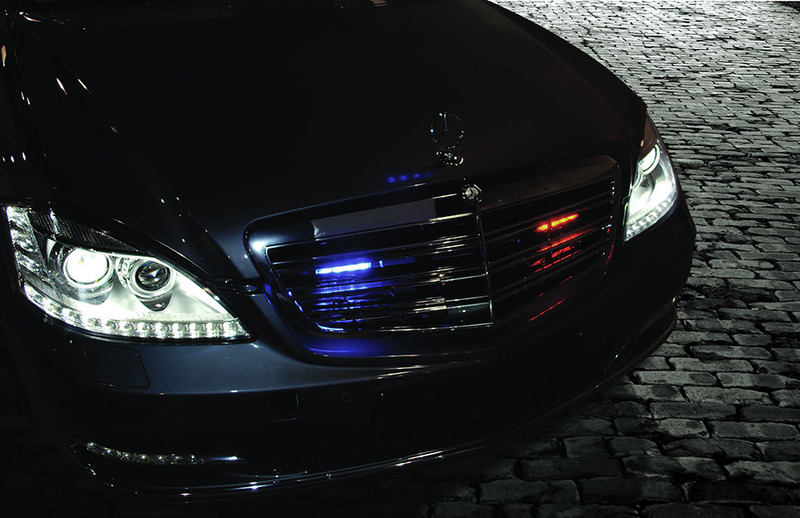 The roof and trunk-mounted antennas are removable to allow for covert appearance when also not in use. 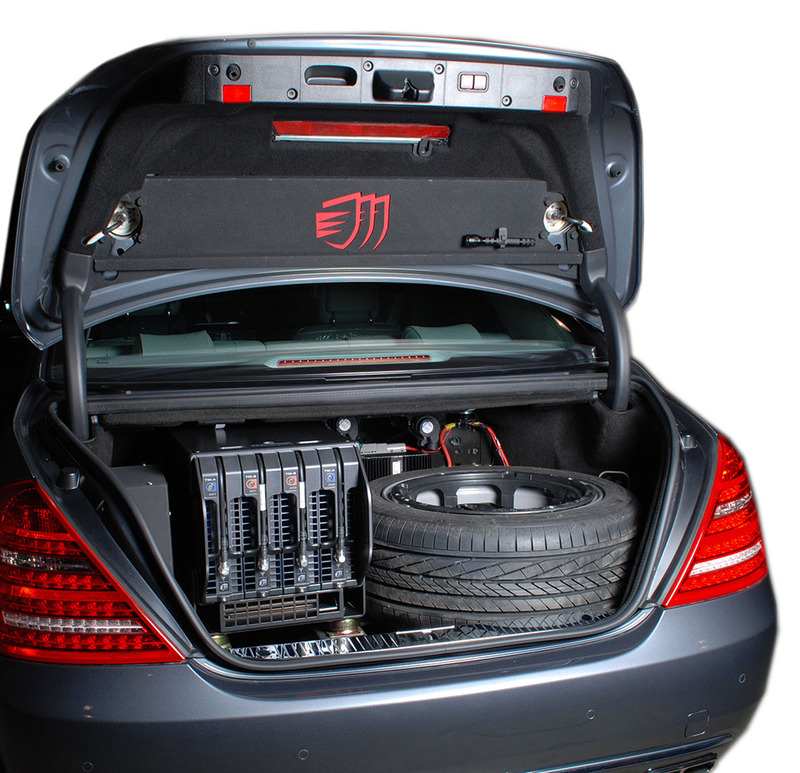 A back-up power system was integrated into the trunk, alongside the jamming equipment, spare tire, tool kit, and chiller system to provide full ECM Defense capabilities for up to 30 minutes with the vehicle’s engine off or in the case of primary power failure.